A French-themed reception to launch Beaufort Ridge, a stylish new development by Morris & Co Homes on The Mount, Shrewsbury, proved a winner in more ways than one. Guests at the preview were bowled over by the quality of the 11 four and five bedroom detached houses, and two lucky guests were presented with a Le Creuset pot worth £140 and a £50 Côte Brasserie voucher to celebrate the theme of the development. Zoe Smith won the first prize of the Côte Brasserie voucher when her name was picked out of the pot by French guest Aude Legeais, closely followed by the second draw with Debbie Gittins taking away the Les Creuset pot. The well-appointed properties on The Mount, once the home of Charles Darwin, are priced from £395,000 to £698,950. The houses at Beaufort Ridge are generously proportioned, combining traditional exteriors and quality materials with contemporary interiors and strong attention to detail. Design features include open-plan kitchen family rooms with French doors leading to the garden and a log burner in the living room. 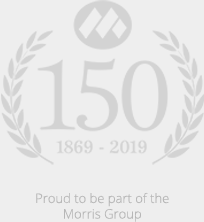 Morris & Co Homes is a family business which develops prestigious homes in Shropshire. It is known for the quality of its developments which range from town houses to mews cottages, and apartments to beautifully renovated homes. For more information visit the website www.morrisandcohomes.co.uk, email philippa@morrisandcohomes.co.uk or call 0345 515 0066.